World’s first all in one voice dialer phone in which one can make a call, end a call, and answer a call without the need to ever touch the phone. 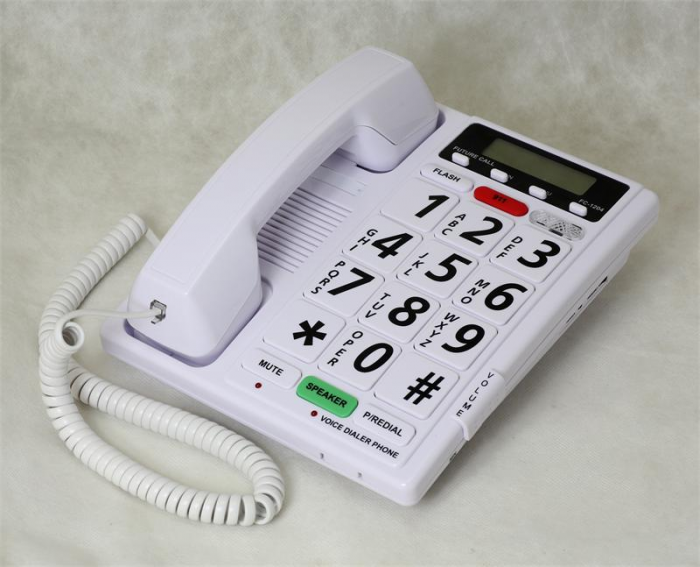 This voice dialing phone includes 3 voice commands and 17 remaining name and number memories. It also includes the convenient pre-dialing feature that speaks the numbers before dialing. It contains 80 talking CID numbers and the LCD displays the name as well. 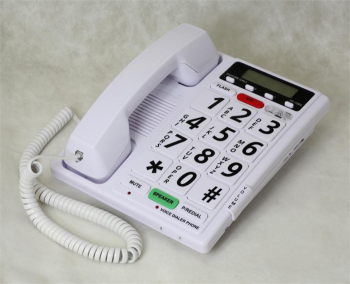 The phone includes other accessible and convenient features such as a hands-free function, electronic mute, Flash, 911 key, and Redial/Pause key. It also includes classic Future-Call features of Handset volume lo/mid/hi up to 40db and Ringer off/low/high volume switches, hands-free volume control, and a bright LED visual ringing indicator. 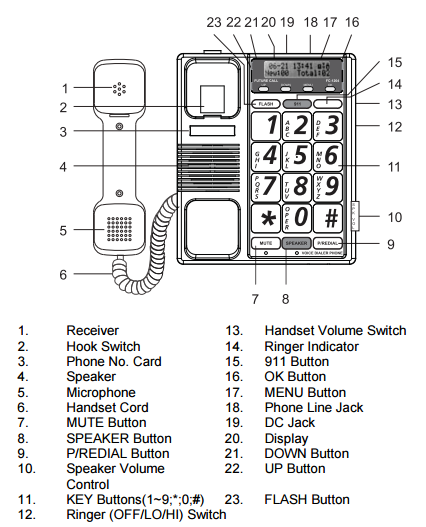 The phone caters to seniors and special needs users. Special Order: Telephones* are not stock item and are ordered specifically for you. Unfortunately, no returns, no cancellation, so please call our trained staff with any questions you may have prior to ordering to ensure you make a well informed, educated purchase.